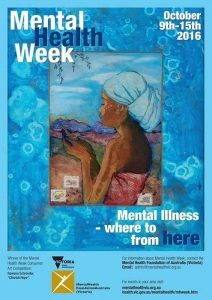 HISA is pro ud to support Mental Health Week 2016, taking a public role and raising profile for the use of digital media and technology in mental health care. “The potential for digital health to improve the quality of life and treatment for patients with mental health issues and illness has been widely acknowledged,” said HISA CEO Dr Louise Schaper. “HISA members – Australia’s health informaticians and other digital health experts – have an important role to play sharing their expertise with the whole healthcare community and particularly one as sensitive as mental health,” Dr Schaper said. She said the organisation was committed to health workforce development to ensure all mental health care workers were equipped to use digital health tools, programs and applications.